Green Communications is strongly engaged in optimizing Internet’s resources to face its exponential growth. Therefore, the company proposes to shorten the path crossed by the information by moving Internet Intelligence to the edge of the network instead of centralizing it into datacenters. 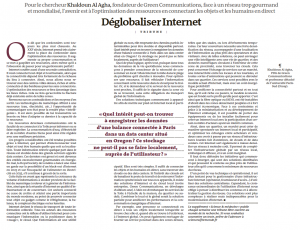 The article “Internet Deglobalization” written by Khaldoun Al Agha, CEO of Green Communications, published in Le Monde newspaper and relayed by France Culture. The article “In order to make it cleaner, should we decentralize the Internet?” by Rue89. The IEEE Communications Society publishes our White Paper on Wearable 5G Networks in its November E-Letter. Click here to see the article: Device To Device For Wearable Communication in 5G Networks. For more information on 5G solutions, please contact us. On September 30th, Alcatel Lucent launched its “Innovation City”, where several innovative startups were invited to exhibit their products. 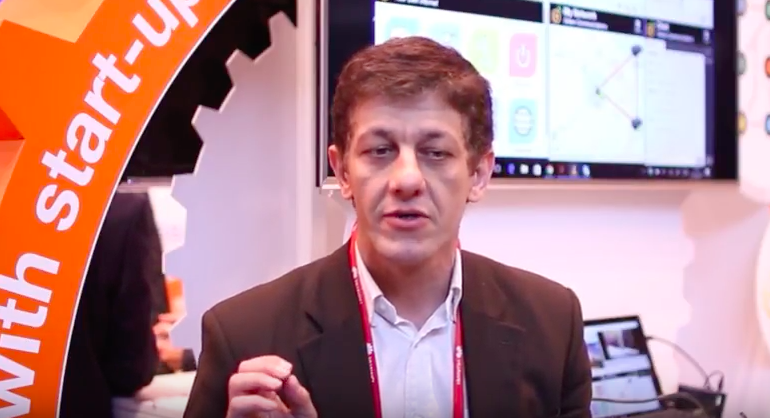 Green Communications presented Green PI (Participatory Internet) for a new generation of Internet network: wearable, instantaneous and autonomous.